A steam humidifier is another type of industrial humidifier which is especially useful for industrial applications. The principle of operation is by producing steam from water and spreading under pressure through nozzles. This comes with a small water tank and is converted to steam using resistance or inductive heating with electric power. The advantage over a normal evaporation type humidifier is that humidification process is faster and more controlled. These industrial humidifiers are the most effective for cold storage and walk in freezers which are around or below zero degrees centigrade. The challenge in a cold room and freezer room are that the humidity inside the freezer room gets converted into ice and hence humidity comes down quickly sometimes up to 10%. If we spray water at normal temperature, the moisture again converts into ice quickly. Hence the ideal solution is to sprinkle steam into the cold room. The temperature of the room will increase slightly, but should not be a concern. The temperature of the steam will melt some existing ice deposit in the room also which also helps to increase humidity. So the water generated from the ice and the moisture from the steam will generate enough moisture to increase the humidity inside the room. Hence steam humidification is the most desirable type for cold storages and walk-in freezers. For this reasons, steam humidifiers are also called generally as cold room humidifier, freezer humidifier, cold storage humidifier etc. The steam is sprayed through an atomizer steam so that the steam is converted into minute particles for spreading easily. The nozzle can be fitted onto the interior wall of the cold room or walk-in freezer and all other equipment will be fitted outside the room. There is a small water tank into which electrodes are immersed. 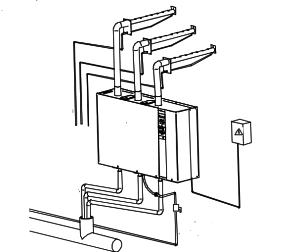 When the industrial humidifier is switched ON, the electrodes are energized through electricity. This boils the water and converts water into steam. The water level and steam level are monitored and the electrodes are controlled accordingly. As soon as the water level is low, water has to be replenished automatically or electrodes have to be switched off automatically. Otherwise, it will cause damages to the electrodes. There will be a humidistat (also known as hygrostat) which monitors the required humidity. If the humidity goes below the setting level, the electrodes are switched ON and when the desired humidity is achieved, the electrodes are switched OFF. Thus the entire operation is automatic except periodic maintenance. Major technical features of industrial steam humidifier are as below. 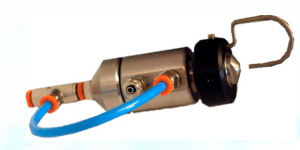 Operating range of water conductivity is between 30 and 1000 µS/cm. Water pressure is between 1 & 6 bars (15 to 90 psi) at 40°C (104°F) maximum. These industrial humidifiers are suitable for duct applications up to 150mm (5.9 ”) WC. Electrical power supply is 230 Volt Single Phase, 400V 3 Phase, 50 or 60 Hz. It can use RS485 interface board for BMS communication if required. 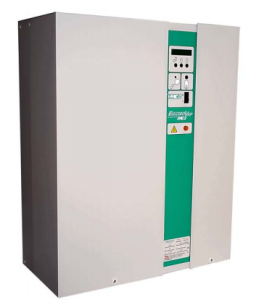 These industrial humidifiers comply with CE, UL and CSA requirements. The humidity can be controlled by external humidistats (also known as hygrostats). The steam distribution is through stainless steel pipes. It has an anti-foaming and automatic conductivity compensation system. The required capacity of humidification is calculated by calculating the amount of water to be sprayed into the room to achieve the desired humidity. In order to calculate the required capacity, we would require the size of the room, present temperature, present humidity and required humidity. From these parameters, we will calculate required humidification capacity. We undertake supply & installation of steam humidifiers for cold rooms in Dubai, Abudhabi, other Emirates of UAE, Qatar, Oman, Kuwait, Bahrain, Saudi Arabia and African countries including Nigeria, Kenya, Ethiopia, Djibouti and Sudan.